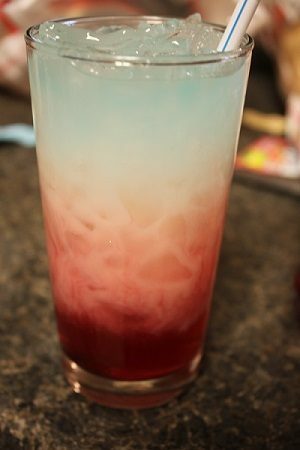 If you missed yesterday’s post, you’ll want to check out How to Make Coasters: Patriotic Style. 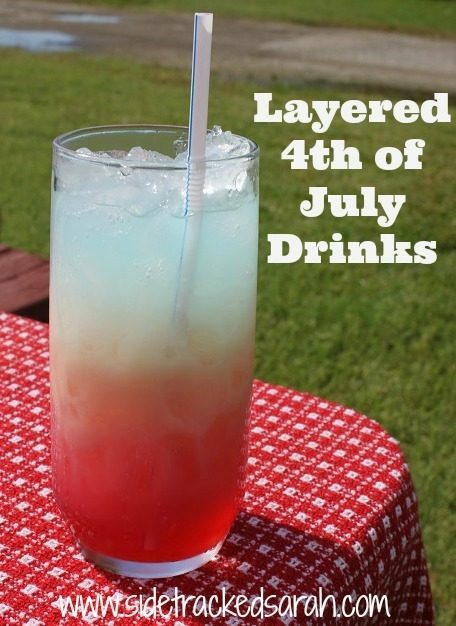 I love making these 4th of July layered drinks! Not only do they look really nice, they also taste amazing. In order to maintain your layers, you need to select beverages with varying amounts of sugar content. The higher the sugar content, the more it sinks. 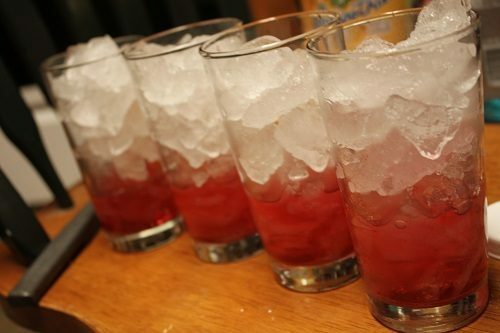 Start by pouring your Cran-Apple juice into the bottom 1/4 of the glass. Pour the Pina Colada juice gently over the ice so that it slowly trickles in. Do the same with the blue Gatorade. Our top layer didn’t turn out quite as blue as we would have liked, but I think it was my fault as I didn’t make sure that I bought the darkest blue Gatorade there was. Keep that in mind when you’re shopping for yours! Everyone, including both mom AND dad absolutely loved this drink! It was so refreshing! It really made you feel like you were getting a treat!! My kids say we should sell it. I’m not exactly sure who we’re selling it, too….lol…but, I guess it’s so good they’d pay for it! 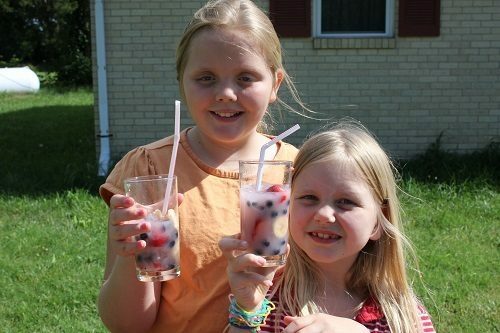 A couple of the girls decided to add some strawberries and blueberries to it and mix it up. They enjoyed it greatly! How to Make Coasters: Patriotic Style + $80 Cash Giveaway! 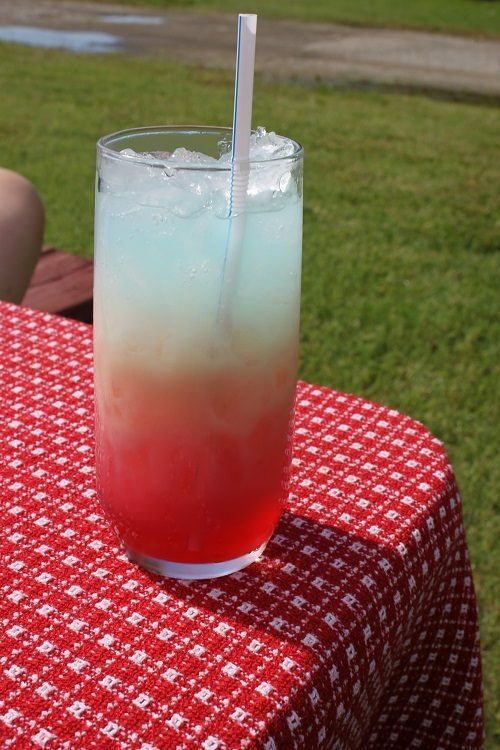 Looks refreshing and pretty, a really great party drink! That looks so good. I know my kids would love this.